Sign up for the Monday Morsel! 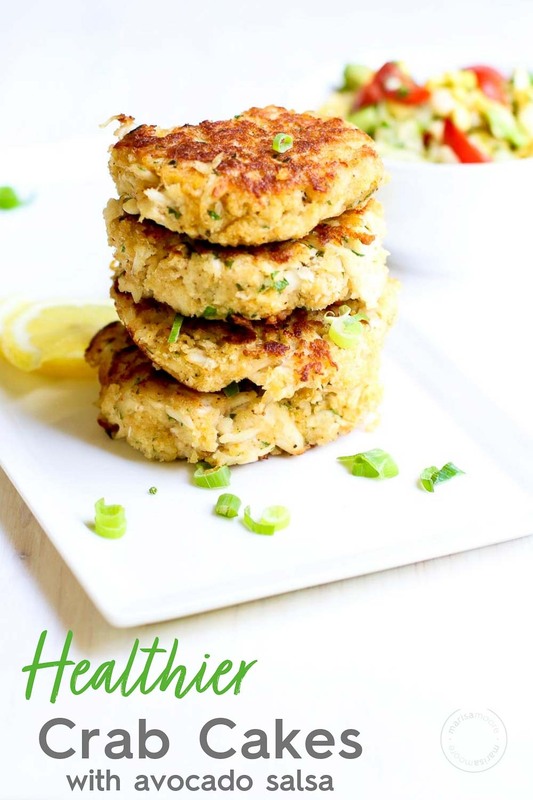 With less filler and just enough spice, these healthier crab cakes let the sweet, succulent crab shine through. Though I grew up close enough to the ocean, my first time trying crab cakes was at an extended family reunion in Baltimore, Maryland. I was about 12 years old but I remember thinking these are so buttery and delicious. That casual experience set my baseline expectation for what a crab cake should be. It’s full of flavor not filler and tastes fresh and light. As an adult, the best ones I’ve ever had were served at Clyde’s in Washington, DC. I fell in love with the crab cakes and the side fresh summer sweet corn and tomatoes. These two memories inspired this recipe. 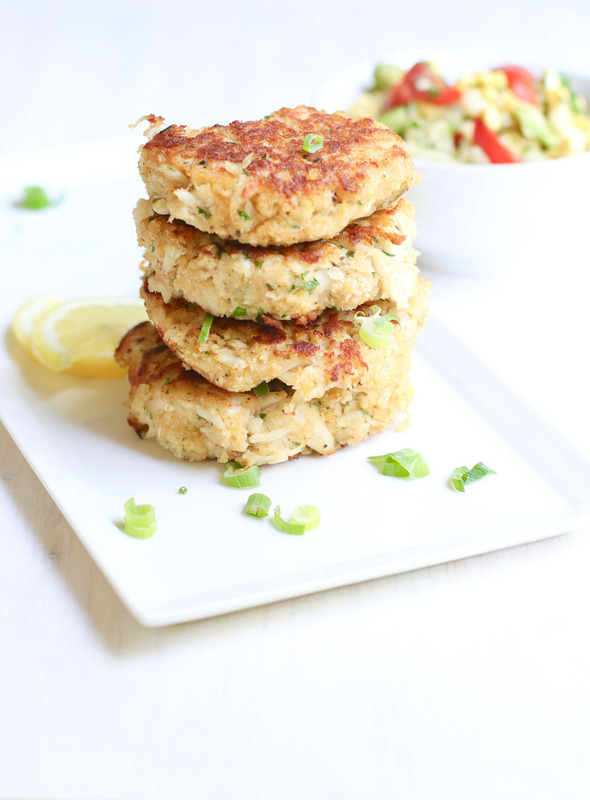 Before working on this recipe, I’d never tried to make crab cakes at home. They can be pricey and tend to be a special occasion dish. But I didn’t realize how EASY they are. I can see myself using these for breakfast and brunch or a fun dinner party this summer. No matter the occasion, you can keep it healthy and flavorful. Buy the best quality crab you can afford. You can do jumbo lump crab meat for a chunkier cake but the lump crab I used turned out great and stayed together well in these patties. Add the least amount of filler. I added just ½ cup panko breadcrumbs for the entire recipe. The panko helps bind the patty but doesn’t leave you with a dense, bready crab cake. You can use gluten-free panko for the same effect. Sear in a hot skillet with just enough oil to coat the pan. I skipped the traditional mayo and added Dijon mustard and a generous shake of seafood seasoning for flavor. Getting the golden brown sear on the lump crab meat seals in the flavor for a simple, sweet and craveable crab cake. I topped them with an avocado, corn and tomato salsa but you can use any seasonal vegetables or enjoy them just as is. Whew. That was a lot of words for a very simple recipe. Except for the crabmeat, you probably have most of the ingredients for this recipe at home already. Whisk the egg through seafood seasoning in a small bowl. Add the crab to a large bowl. Taking care not to break up the crab too much, fold in the panko and parsley just until incorporated. Gently fold in the egg mixture. Score the mix into 4 equal parts. Scoop or roll each part in your hand and form into a patty. Place the patties on a plate. Chill for at least 15 minutes. Heat a skillet over medium-high heat. Add the oil. Sear the patties 2-3 minutes per side, until golden brown. Flipping once. 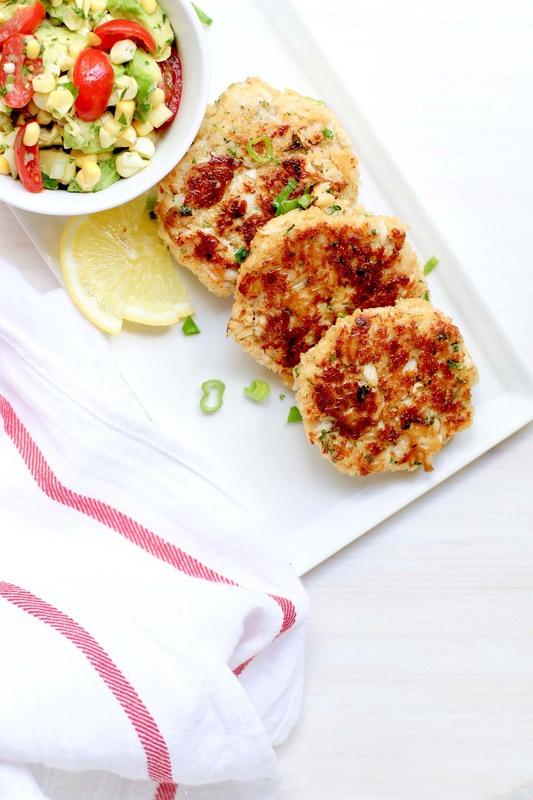 Serve the crab cakes warm with seasonal vegetables like sautéed zucchini, sweet corn and tomatoes, or a simple salsa like the one below. Corn Avocado Salsa: Gently toss 1 peeled, cubed medium avocado, corn kernels from one cob, ½ cup halved grape tomatoes, the juice of one lemon, and salt and pepper to taste. Pin this recipe for later. My husband absolutely loves crab cakes, but he usually can't order them since most restaurants don't serve them gluten-free. He will LOVE this recipe with the gluten-free panko! Can't wait to try them! Yum! The perfect summer meal! I LOVE that you don't add too many things in here and the crab is the star! What a great memory! Love the east coast and all of the seafood deliciousness that comes with it! These look amazing! Subscribe to Marisa's Monday Morsels! Hi! 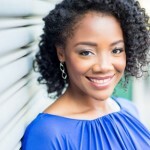 I'm Marisa, a registered dietitian nutritionist living in Atlanta, GA. I use this blog to share (mostly) vegetarian recipes, credible nutrition information and a peek into my Southern roots and travels!